The cornerstone of the Concord Collection is quality, and this incandescent semi flush is no exception. Combining a classic bronze finish and posh styling, you will find no better way to highlight the charm of your home. With the superb craftsmanship and affordable price this fixture is sure to tastefully indulge your extravagant side. The Leap collection features sweeping arcs that frame tapered etched shades. Glass shades are slightly in larger in scale to complement contemporary design trends. Available in Brushed Nickel and Antique Bronze finishes. 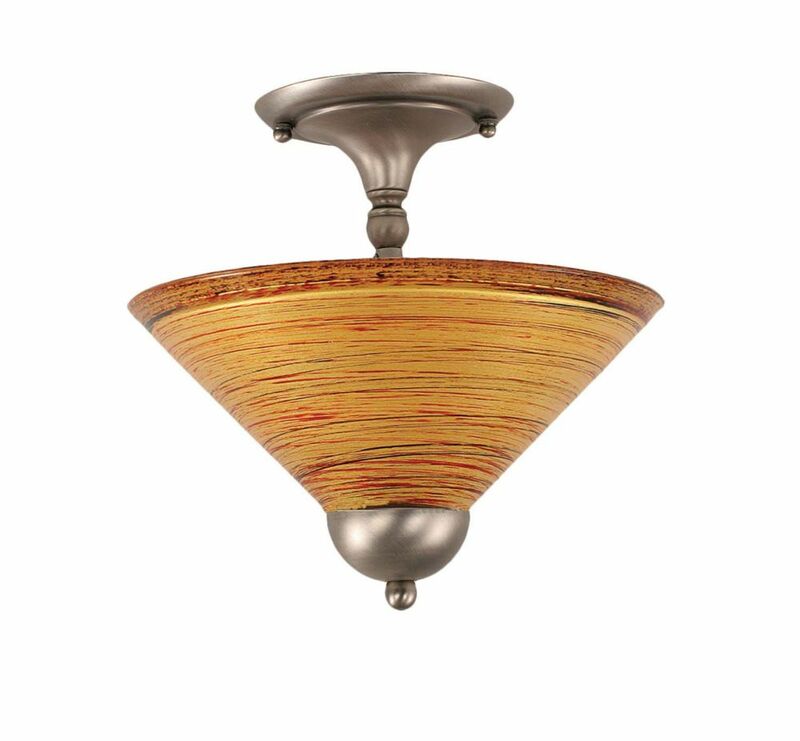 Concord 2 Light Ceiling Brushed Nickel Incandescent Semi Flush with a Firré Saturn Glass The cornerstone of the Concord Collection is quality, and this incandescent semi flush is no exception. Combining a classic brushed nickel finish and posh styling, you will find no better way to highlight the charm of your home. With the superb craftsmanship and affordable price this fixture is sure to tastefully indulge your extravagant side.